The EUSALP Action Groups 7 and 8 have to tackle two big challenges. Sectoral synergies seem promising, for example concerning mountain forests, but what could be appropriate strategies for practical implementation? “Going local” - the current trend of community-led local development catches up the idea of mobilizing local communities and organizations to achieving overall goals in an integrated bottom-up approach. Could the local level in future be also the key to cope successfully with the big societal challenges of deploying a Green Infrastructure and dealing with natural hazards in times of necessary climate adaptation? 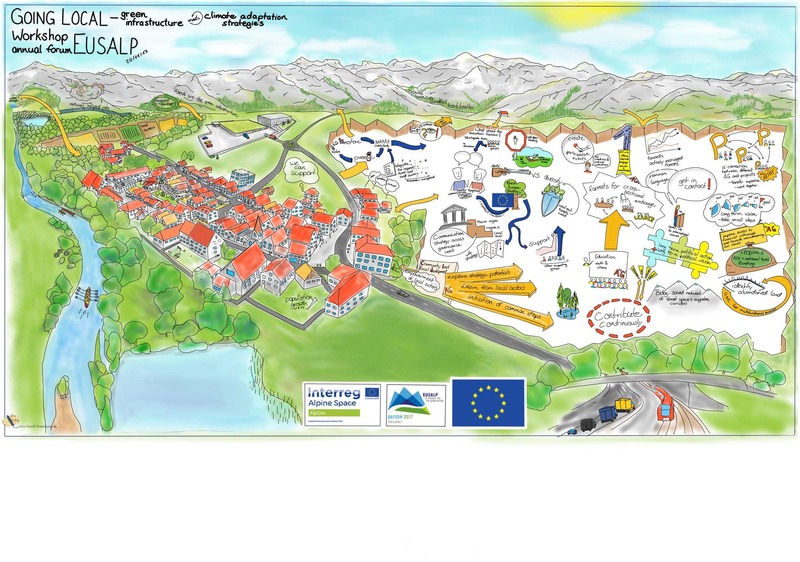 The workshop on the occasion of the EUSALP Annual Forum in Munich connected local stakeholders and decision makers to Alpine experts. It gave an impression of crucial sectoral topics, possible synergies and innovative solutions on the local level. Together conclusions and indications for further activities were identified and a vision of how ideal cooperation mechanisms in the Alpine Region developed. As a follow-up a joint workshop of LEADER and EUSALP actors is envisaged for 2018.